Choosing a bank is one of the most important decisions you can make for your finances. 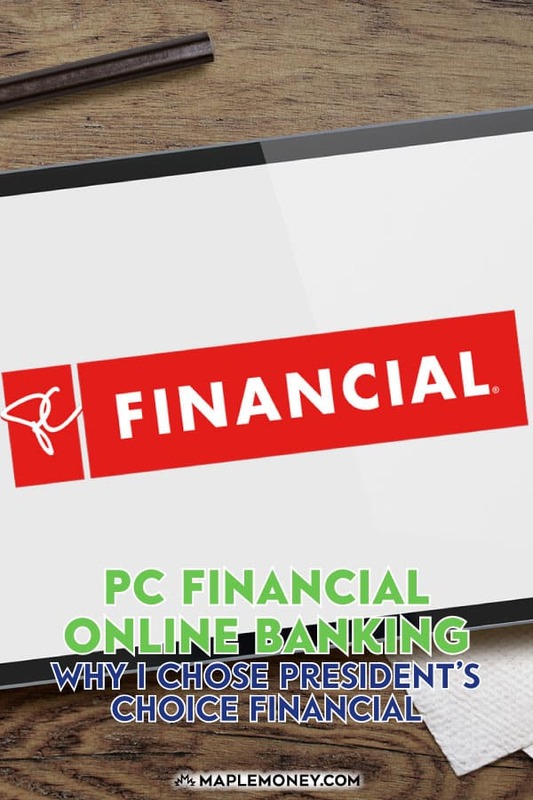 Personally, I use PC Financial online banking for the no-fee account, but there are plenty of other banking options available with PC Financial online as well. When choosing a bank, make sure that you consider your lifestyle and your banking needs, as well as consider what you hope to accomplish with your account. Your bank needs to fit your lifestyle and your individual circumstances. Online banking has become popular because it’s possible to get the convenience of 24/7 banking, as well as save money on fees and receive competitive yields on deposit products. PC Financial online banking is no different: You receive a wide variety of products and services, and it comes at a low cost to you. It’s one of the reasons I use President’s Choice Financial online banking. 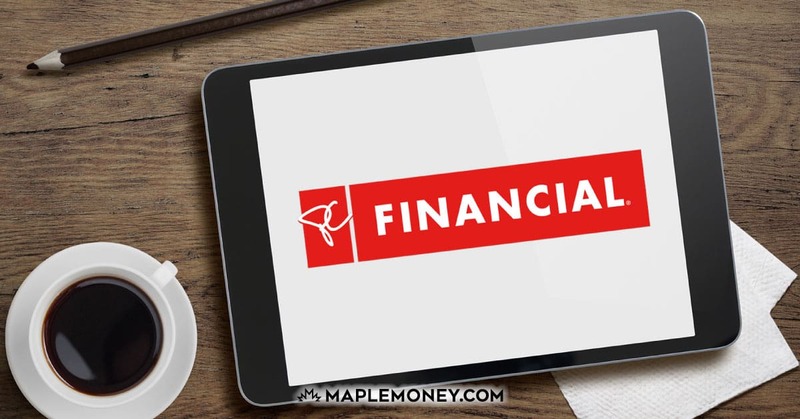 My main reason for turning to President’s Choice Financial online banking is that, similar to Tangerine Bank, I like the convenience and low cost. I like using the no-fee daily banking account. It saves me money each day since I don’t have to worry about fees. I can easily monitor my money online, and engage in a variety of the transactions that are most important to my daily finances. My biggest complaint for the past couple years was that they didn’t have the ability to deposit a cheque by submitting an image of it with my phone. Thankfully they recently added that ability and it works great! Mortgage: PC Financial online offers a number of mortgage options for you. Competitive rates, and low costs, are hallmarks of these mortgages. On top of that, I like that PC Financial provides a number of tools and educational information to help you determine which mortgage is right for your financial situation. Next time I get a mortgage, I might consider using PC Financial because of the relationship I already have with the bank. Savings: You can find a full menu of savings products. The Interest Plus savings account features an anniversary bonus on top of its competitive yield. You do need to maintain a minimum balance, though, in order to get the best deals. This means that this offering from PC Financial online might not be the best for everyone. If you don’t want to worry about a minimum balance, the Interest First account offers a competitive yield as well, but you won’t get the anniversary bonus. GIC: PC Financial online banking provides you with access to a GIC that provides you with risk-free returns. GICs are a great part of an income strategy for some investors. If you aren’t sure about whether or not it would work for you, speak with a financial professional to see whether or not GICs will work for you. And President’s Choice Financial online banking isn’t a bad choice if you decide to go though the GIC route. RRSP: Keep your retirement savings on track with one of the RRSPs offered by PC Financial. You can receive tax-advantaged growth for your future. It’s always a good idea to prepare for the future, and PC Financial online can help you there. TFSA: There are plenty of other investment options as well. These investments are tax-free, meaning you won’t pay taxes on your interest earnings. A little tax planning can go a long way. Loans: There are a number of loan options available from PC Financial. If you are looking for competitive rates, the low-cost borrowing account and the secured borrowing account can provide you with lines of credit that are accessible as needed. You can also get an all-purpose personal loan. Credit card: PC Financial also offers its own credit card. The President’s Choice Financial Mastercard helps you earn PC Optimum points faster, and comes with reasonable terms. PC Financial offers a great example of how online banking can provide you with everything that you need to keep your finances on track. You can use the online banking to see how your accounts are doing anytime, and from anywhere with Internet access. PC Financial online banking provides you with convenience, as well as access to a variety of first-rate financial products. I have enjoyed using the no-fee bank account, and I am considering trying other products offered by PC Financial. Have you used PC Financial? What do you think? Another option to consider is Tangerine. While very similar, they currently have up to a great chequing account and a their savings account has a $50 bonus, plus 2.4% interest rate for 6 months. We used to use PC Finanical, and we were very pleased with the experience. We are now using ScotiaBank mostly because we have a local branch that is very helpful and with more complex banking it has proven invaluable to be able to go in and discuss issues and opportunities in a way that you can’t online. I was an early adopter or PC Banking having an account since 1996. Over the years I saved lots of money in service fees. I also have two other virtual accounts ING and Ally (now owned by RBC). PC is still my favourite bank because there are so many ATMs. Currently I am consolidating all my accounts into two banks and President’s Choice will be my one and only on-line bank. I used to use them too. The only real hangup was getting a certified cheque or bank draft for house and car purchases. We use TD and Tangerine now. Tangerine’s chequing account seems pretty good and their other products are convenient and competitive. It’s easier to move money online (for free) between the two than it was with PC. ING THRiVE Chequing does look pretty good too, though I only have a TFSA with them right now. I haven’t had any issues moving money in or out myself, but that would certainly annoy me too. Yes, I’ve found the ING “thrive” account is fine for bill payments etc. too. Here’s another drawback to both ING and PC… foreign exchange transfers. I found Canadian Forex (affiliated with an Aussie bank) are superb at sending foreign currency overseas at great forex rates and very low fees. Don’t even get me started on the big 5 bank fees for such things! I have been using PC financial for 13 years. I have been able to get bank drafts within one working day before – they wired the funds to a CIBC and I had it within about 4 hours. My experiences were both about six to eight years ago. For certainty with such transactions, you need them to be ready by a particular time, and they weren’t. They’ve likely improved a lot since then but we all have long memories when we’re caught short on a transaction. Just a quick note, I think the anniversary bonus is being phased out. I use PC for checking, but with the closing of Ally might use they for savings. My wife and I have been using PC financial when RBC started getting totally out of control with their service fees (14 years ago!) and have never looked back. Not only have we saved countless in service fees but have received almost $7500 in free groceries in that time. When I moved my mortgage over a quick bull session with one of the mortgage specialists resulted in some really good advice – and me paying off my house in 6.5 years! If you are tired of being squeezed for fees – look into them and you will not be disappointed. The only thing we have a brick and mortar credit union for is for a US currency account when we travel. I reflect Buzz’s comment, except I left Royal Bank for PC Financial 13 years ago. It was the best financial decision I ever made! I’ve saved many thousands of dollars in the move, in fees, PC points made, higher savings & chequing account interest, and lower interest on loans, mortgage, etc. Tangerine (formerly ING) versus PC Financial comes with some trade-offs. Tangerine: first 50 cheques free; after that, $12.50 “per book” which (if a book is 50 cheques) means they’re 12.5-cents per cheque after your first 50. Interac Transfers are $1.50 with PC Financial, $1.00 with Tangerine. The difference is Tangerine offers its own type of e-transfer, free of charge. Having used both types, the Tangerine variety is *very slightly* more cumbersome but is just as effective. The above two differences, for me, highlight that PC still leans toward “traditional paper cheques” whereas Tangerine is encouraging digital transactions by offering its own variety free of charge. One thing about Tangerine: their external account link options are much more flexible than PC Financial. PC Financial requires you to provide them with a physical cheque from your external account in order to set up a link. They don’t accept any substitutes. Tangerine will let you set up external links to any kind of account, including savings accounts. I’m currently using the PC Financial Mastercard and I’m pretty happy with their service. As for my online banking I use Tangerine but I have considered switching to PC Financial. I used Hubert for savings and GICs savings currently offering 1.95% and 100% guaranteed. Been there for almost a year with no issues. If you are using PC for your bank account that is fine as free groceries add up over time but never ever rely on them for a loan or a mortgage. Against our better judgement we told our son to get a $5000.00 loan to purchase a car. We are happy to co-sign and ended up lending him the money for the car as the loan has still not arrived after two weeks. Numerous phone calls, buck passing and rude and uncaring responses seem to be the norm. We have a mortgage with them and when we moved they kept paying the taxes on our old house putting us in default on our taxes. Many inquiries from us and the kind people at the city tax office to PC financial were to no avail. This carried on for the better part of a year and we now pay our own taxes. Our lawyer told us PC is the worst company to deal with and the paperwork was always messed up, deadlines missed and frustration the norm. Beware!! PC is cagey. I would advise using them with extreme precautions. They claim they are cheaper, but they add penalties for any and every reason. So, considering their “saving rates” and complications, a regular bank is of the essence.